See the vintage fashion show featuring Vida Antigua, Leopard Lounge Vintage + Marmara + More. The Working Girls (Vintage Country) will perform live and Here Comes the Girls spin their eclectic mix of soul, rock & roll and psychedelic. Each month features a free DIY Make and Take that is fun and easy. This month we’ll be hand stamping wildflower seed packets. Try the new Greenhouse Catering Co. food truck and sample. 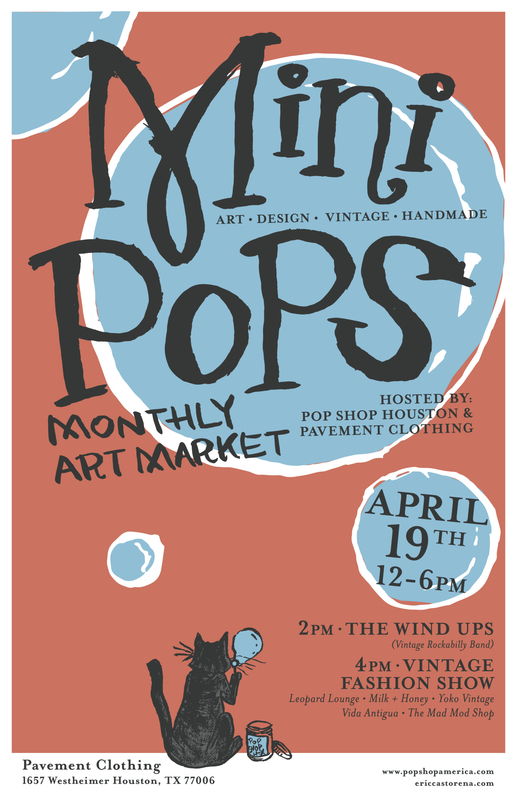 RSVP to Mini Pops April 19th Here.